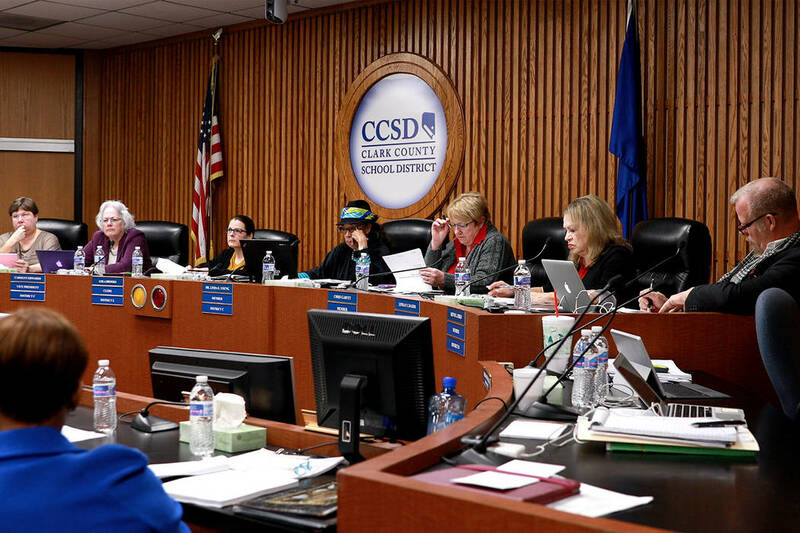 The Clark County School District joined four other Nevada school districts Thursday in a fight for more education funding in the Silver State. The School Board voted unanimously to support the Fund Our Future Nevada initiative, which aims to alter the Nevada Plan — the state’s education funding formula that the campaign describes as the nation’s oldest — and lobby for money earmarked for education to actually go to schools. Approval of the initiative came just as the district announced tentative contract negotiations with its five bargaining units for the first time in 10 years. Amanda Morgan, a legal director for the Educate Nevada Now group that is part of the coalition, said the education formula is outdated and doesn’t cover the cost of educating students. Yet in every district the campaign visits, she said, mismanagement is often blamed. “No matter how many administrative staff you remove or whatever the case may be, it’s fundamental that the funding formula is the root cause of these problems,” Morgan said. The campaign also seeks to funnel marijuana taxes and room taxes to education. 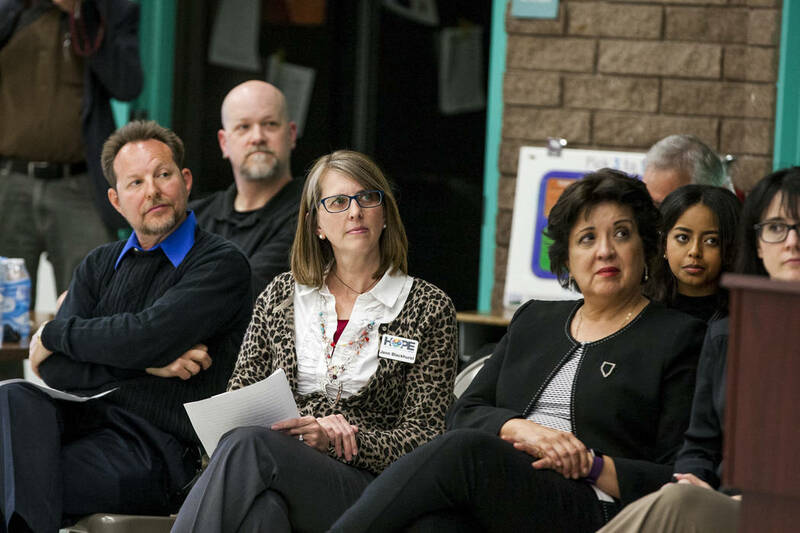 The White Pine County, Washoe County, Churchill County and Carson City school districts have voted to support the resolution, along with groups such as the Washoe Education Association and the Nevada Association of School Boards, according to the campaign. A three-part Review-Journal series on Nevada’s school funding system found that while demographics have drastically changed since the inception of the Nevada Plan in 1967, per-pupil funding from the state has remained fairly flat. The series also found that Nevada is one of the few states that has not been sued over adequate education funding. The district’s latest agreement with the Police Officer’s Association will provide step increases, additional comp time for longtime officers and incentives for certifications, the district announced in a news release. The cost of the contract is roughly $450,000. It’s the last contract the district has resolved with a bargaining unit, after announcing a one-time 3 percent payment to administrators, support staff and police administrators last week. The School Board is expected to approve those contracts at an upcoming meeting.